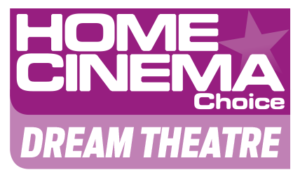 When an existing customer gave us the challenge to “build an amazing cinema” in their new property we were determined to provide an experience they would love. Having a high level cinema room at their previous property we knew we had to produce something special to give the wow factor. Starting from a blank canvas Dawsons had the luxury of being able to design every aspect of the room. With previous experience with JBL Synthesis sound, we took the level to the max with a 7.2.6 Dolby Atmos set up. The screen was made as wide as possible at 4.2m and then we used a Wolf TXF5000 Laser Projector with Pro Scaler. Having confirmed the Audio Visual aspects we then looked at room acoustics, lighting and automation. Acoustic foam panels were constructed to remove sound reflection. Automated doors were designed and fitted to reveal the room before our lighting design and control ensured the complete blackout as the film started.